More than a century has passed since that July 26, 1895 on which one of the most famous and important science couples got married: Pierre and Marie Curie. They inaugurated the tradition of married couples who have won a Nobel Prize. This list of five couples whose histories range from eighteenth century Paris to a laboratory in Norway scarcely two years ago, celebrates the lives of couples united by love and history, but devoted to science. 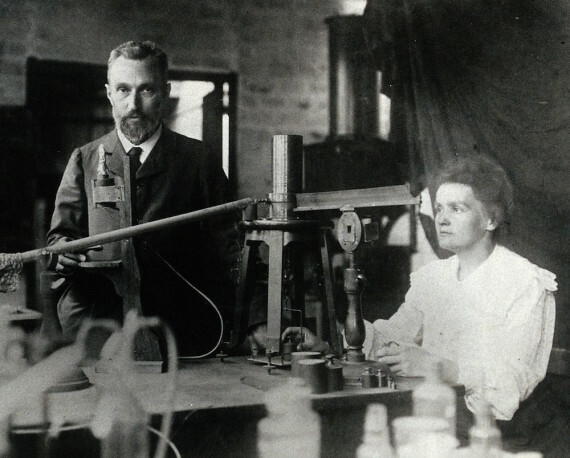 In 1894, after the researcher Pierre Curie (1859-1906) had spent more than a year working together in a laboratory in Paris with the student Marie Sklodowska (1867-1934), he decided to ask her to marry him. The response of the young Polish woman was stark: she could not marry him because she had to return to her home in Warsaw. As fate —and the prejudices of the era— would have it, the University of Krakow denied an academic post to a woman who would go on to be awarded not one but two Nobel Prizes. To persuade her to return to France after this rejection, Pierre sent her a letter that emphasized the new research on magnetism that he was carrying out. The thirst for knowledge brought Marie back to the French capital, where she began her doctoral thesis on the curious rays emitted by uranium ore, a study that would, with the collaboration of Pierre, lead to the discovery in 1895 of spontaneous radioactivity. The couple married on July 26 of that year in the French town of Sceaux. They continued their research in a poorly ventilated shed, without being aware of the harmful effects that continued and unprotected exposure to radiation was having on them. In 1898, the couple announced the discovery of two new elements: polonium —in honour of the home country of Marie— and radium, but they still had to spend four more years working in precarious conditions to prove their existence. Finally, in 1903, they won the Nobel Prize in Physics together with Antoine Henri Becquerel. Marie became the first woman to receive this award. The effects of receiving the Nobel proved overwhelming for the Curies, who became the focus of much public attention because of the expectations raised by the radioactive phenomena. The fixation on the figure of the Curies continued even after Pierre died in 1906 after being run over by a horse-drawn cart. So when, in 1911, it was revealed that Marie had had a brief affair in 1910 with physicist Paul Langevin, a former student of Pierre’s who was also married, the press and gossip magazines began portraying the scientist as the “foreign Jewish homewrecker.” When the scandal broke, Curie was at a conference in Belgium; on her return, she found an angry mob in front of her house and took refuge with her daughters at the home of a friend. However, this scandal did not affect the decision of the Swedish Academy that, later that year, granted her a second Nobel, this time in Chemistry, for her research on radium and its compounds. The grand dame of science died of leukaemia in 1934, possibly because of the radiation that she was exposed to over a lifetime dedicated to scientific research. The Curie formula passed to the next generation. 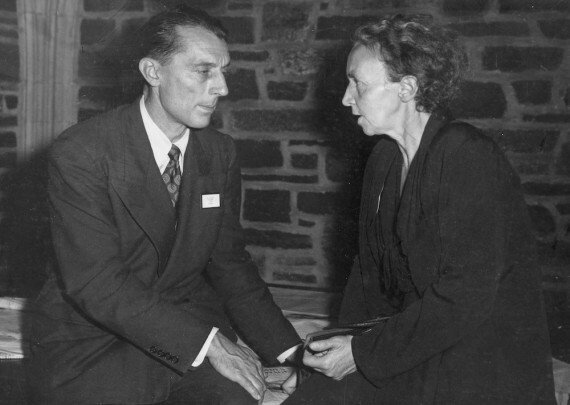 Her daughter, Irene Joliot-Curie (1897-1956) and her husband, Frederic Joliot (1900-1958), repeated the feat 32 years later, winning the Nobel Prize in Chemistry. After the death of her father, Irene seemed to be designated by Marie to fill the void left by Pierre and to become her collaborator. When the First World War broke out, the oldest of the Curies was just 17, but her mother had already installed on the front lines a fleet of sixty portable X-ray units, known as “little Curies”. After a few months, Marie left Irene in charge of a field radiological installation where, alone and unaided, she would indicate to the surgeon the location of the bullets and shrapnel. In 1926, having returned to Paris and with France at peace, she married Frederic Joliot, the assistant of her mother. This did not go over well with Marie, who feared that Joliot wanted to take advantage of the Currie name. Such was her suspicion that she tried to dissuade her daughter and insisted on a prenuptial agreement to prevent the husband from controlling the properties of his wife, as stipulated by French law at the time. Marie needed to be assured that Irene would be the sole inheritor of the radioactive substances of the Curie Institute. Irene ignored this maternal advice and Marie, for years afterwards, continued to introduce Frederic as “the man who married Irene.” He, however, felt a great admiration for his mother-in-law and did not hesitate to accept her request when she urged him to prepare himself to be the major collaborator that Irene needed. Gerty Theresa Radnitz (1896-1957) was born at a time of few opportunities for women who wanted to be scientists. However, she managed to get admitted to the Faculty of Medicine of the University of Prague where she met her future husband and research partner, Carl Ferdinand Cori (1896-1984). They married right after graduation in 1920 and just two years later emigrated to the United States. Leaving a Europe shattered by World War I and arriving at the Roswell Park Cancer Institute in Buffalo (New York) allowed them to specialize in research on carbohydrate metabolism. The Czech couple was particularly interested in studying how glucose is metabolized in the human body and in the hormones that regulate this process. In 1929, they proposed the Cori cycle for which they would, in 1947, win the Nobel Prize in Medicine. This cycle described the mechanism by which glycogen —a derivative of glucose— becomes an energy source in muscle tissue and is then resynthesized and stored in the body. It was a key mechanism for understanding how the body manages energy. The award of the Swedish Academy, which they shared with Argentine physiologist Bernardo Houssay, made Gerty the third woman, after the Curies, to be presented with a Nobel. Once they had published their flagship work, the couple left the Roswell Institute. Some universities offered Carl a position but refused to hire his wife, and Gerty had to settle for a position as a research associate at the University of Washington. Her salary was a tenth of what she Carl earned. It was only some months before she won the Nobel Prize that she was finally promoted to full professor, a position she held until she died in 1957 of myelofibrosis. 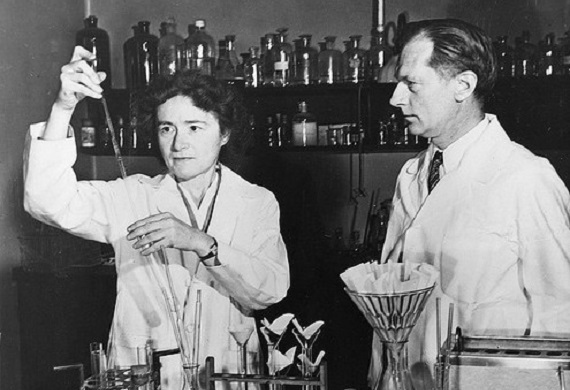 It took almost 70 years for another couple to claim a Nobel for science. In 2014, the Nobel Prize in Physiology or Medicine was awarded to May-Britt (1963) and Edvard Moser (1962), who discovered, together with John O’Keefe, the “internal GPS of the brain” that allows the orientation in space. In other words, thanks to their work we are able to understand the system by which the brain lets us know where we are, where we are going and how we store information in order to remember the same path in the future. The Mosers, who met when they were both studying psychology at the University of Oslo, redid the research that O’Keefe had carried out in 1971. The New Yorker had discovered the first components of the internal positioning system: some cells near the hippocampus important for spatial memory and orientation. Thirty years later, the Norwegian couple discovered another key component: some nerve cells that generate a coordinated system and that allow for precise positioning in space. After receiving the award from the Swedish Academy, both scientists continued with their careers. 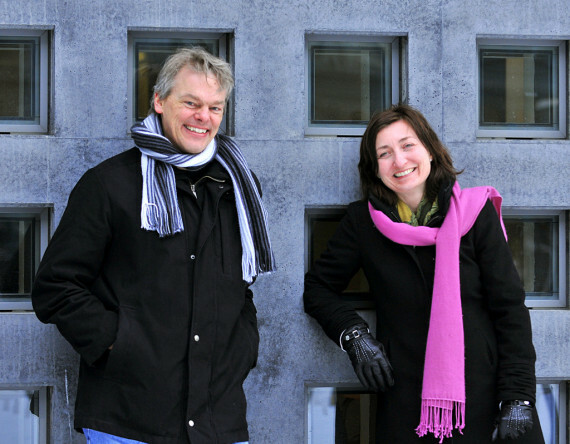 May-Britt, who already in 2000 had been named professor of neuroscience, is director of the Centre for Neural Computation at the Norwegian University of Science and Technology in Trondheim. Meanwhile, Edvar, doctorate in neurophysiology from the University of Oslo, is director of the Kavli Institute for Systems Neuroscience in Trondheim. In the eighteenth century, when the time had not yet arrived for all the great Nobel Prize winning couples —as these awards did not even exist—the first great duo of science emerged. They were Marie-Anne Pierrette (1758-1836) and her husband Antoine Lavoisier (1743-1794), the “fathers” of modern chemistry. 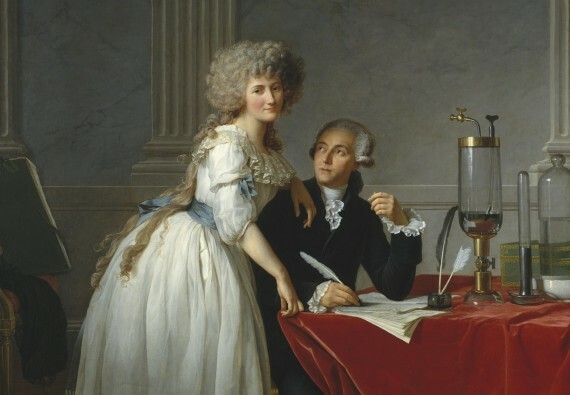 The Lavoisiers were married on December 16, 1771 and they took advantage of the dowry of the girl, then aged 13, to establish a well-equipped laboratory where to begin their studies. There they would discover the key role played by oxygen in combustion and in the respiration of plants and animals. Moreover, their experiments would prove the law of the conservation of mass —according to which the amount of matter is always the same at the beginning and the end of a reaction— and they would discover that water is composed of oxygen and hydrogen. Although Marie-Anne is often remembered simply as the wife of Lavoisier, the reality is that she played a key role in their research. Her knowledge of English, Latin and French allowed her to translate documents such as the Essay on Phlogiston by Richard Kirwan, with which they would refute the theory of the Irish author (Madame Lavoisier herself would note the chemical errors in the work), and her ability to accurately draw devices and formulas meant that the results and research methods would later be understood.